Others who have not had their accounts closed (not all institutions have the same take on non-residents) may notice that inquiries to open new accounts stateside are met with reticence, and an inhibitive list of questions and requirements; the sad truth is that non-resident US taxpayers often present more of a liability than a benefit to US financial institutions held accountable to labor-intensive compliance regulations, with draconian penalties when they put a foot wrong. It’s not all bad though. If you are able to find somebody to work with that will help you navigate the regulatory landscape and arrive on the other side, then there are a number of US specific financial planning options available to you with some attractive benefits. The IRA is an Individual Retirement Account. There are two types, the Traditional IRA and the Roth IRA. They are not the same. The commonality between them is a degree of tax relief if you stick to the funding limits. Funding limits for tax privileged accounts will often change year to year but at present you are able to contribute 5,500 USD a year if you are younger than 50 and 6,500 USD a year if you are older. INSIGHTS Roth and Traditional IRA: Whats The Difference? You are also able to double this limit if you are a married couple and saving for two. Depending on which IRA your advisor recommends, you may benefit from contributions being made with pre-tax dollars (like the 401K), or contributions that can be used as deductibles on your tax return. The money will appreciate without annual taxation on the investments and you may even get tax-free withdrawals at retirement. Despite the funding limit being relatively small, if you stick to it throughout your career you will accumulate a considerable pool of capital. You will have avoided taxable events, costly specialist accounting and overseas reporting requirements. Whether you earn 10,000 USD or 400,000 USD a year, having an IRA is an invaluable financial tool. A 529 plan is a tax-advantaged savings plan designed to encourage saving for future college costs. 529 plans, legally known as “qualified tuition plans,” are sponsored by states, state agencies, or educational institutions and are authorized by Section 529 of the Internal Revenue Code. Again, hence the name. There are a number of benefits to the 529 savings plan. Nearly every state has multiple 529 offerings so you should take some time to assess which is the most appropriate for you. The good news is that they are not always restricted to the mother state, meaning that just because your account was opened in California, doesn’t mean that your child can’t eventually use the money to pay for tuition at NYU. As long as the plan satisfies basic requirements then the money within the account will grow tax free. In addition to the federal tax savings, 33 states, including the District of Columbia, currently offer residents a full or partial tax deduction or credit for 529 plan contributions. The account stays in your name and you are also free to withdraw and use the funds at any time (in that instance however, you would have to pay income tax, along with a 10% penalty tax for not using your tax breaks to actually finance college), so your money is not locked-up forever and you maintain flexibility whilst enjoying tax breaks if you stick to the program. You may have chosen to relocate from America to new, far-flung lands but the taxman is not willing to end your relationship quite so easily. In fact, your matrimony will last as long as your US passport does so its advisable to know what you owe, and how to pay it. Afterall, the health of your long-distance relationship depends upon it. As a US taxpayer you are liable for taxes due on all financial proceeds; income, dividends, capital gains, interest, everything. 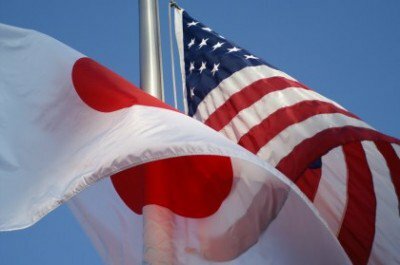 There are bi-lateral tax agreements between the US and Japan so as to avoid double taxation and in theory your government pension contributions made here in Japan are honored by the social security system in the US. Taxpayers with an AGI (Adjusted Gross Income) within a specified threshold can electronically file their tax return for free using Free File. Taxpayers with an AGI greater than the specified threshold can either use the Free File Fillable Forms or e-file by purchasing commercial software. A limited number of companies provide software that can accommodate foreign addresses. Using an experienced overseas filing agent may help you pick the low-hanging fruit with regards to tax deductions. Many people living overseas have assets held in different countries and an experienced filing agent will know what to look for in aim of compliantly reducing your tax liability. As a US taxpayer you may have heard the term “FATCA” banded around with reference to personal finance or tax. It stands for the Foreign Account Tax Compliance Act and was introduced in 2010. You can familiarize yourself with the important bits here. The bottom line is that it requires all US taxpayers living outside the U.S. to file yearly reports on their non-U.S. financial accounts to the Financial Crimes Enforcement Network. It also requires all non-U.S. (foreign) financial institutions to search their records for US taxpayers and to report the assets and identities of such persons to the U.S. Department of the Treasury. If you do not report your overseas assets you are playing with fire. You may have also heard of the FBAR. The Foreign Bank Account Registration form. An annual FBAR must be filed with the Treasury whenever a taxpayer has an interest in, or signature authority over, a foreign financial account with a value over $10,000 any time during the calendar year. That includes your Japanese bank account that pays zero interest. It makes no difference if the average amount in the account during the year is less than $10,000 or all the money is withdrawn by the end of the year. If the account held more than $10,000 any time during the year, the FBAR must be filed. Your normal tax filing deadline falls on the 15th April, FBAR needs to be filed by 30th June, every year…forever. The penalties for failing to file FBARs are severe. There is a minimum $10,000 penalty if your failure to file was inadvertent. However, if you are found guilty of willfully not filing a FBAR, the minimum fine is $100,000 or half the value of the account, whichever is greater. If your foreign accounts and assets combined are worth at least $50,000, you may have to disclose them on Form 8938 and file it with your federal tax return. There may be overlap in the contents of the two and its usually better to err on the side of caution and have a professional submit for you to avoid error. “Can I File My Own US Tax Return From Japan?” You absolutely can. Just make sure that you do it correctly. If the IRS finds that you willfully failed to disclose overseas accounts, you could owe a penalty of 50% of your total balance or $100,000, whichever is greater, for every year you failed to file an FBAR form. That’s capped at 6 years. This means that if you didn’t disclose foreign accounts totaling $20,000 – or a $200,000 account – for six or more years, you potentially could be fined $600,000. You may also be subject to criminal penalties. If your failure is deemed non-willful, then the IRS can impose a penalty of $10,000 a year for every year you didn’t disclose up to 6 years. A similar penalty could apply for failing to file Form 8938. It could be even worse than that. The IRS is interpreting the penalty to be per account. So if you have four accounts totaling $20,000 that you didn’t disclose for six years, that could mean a minimum penalty of $40,000 for each year of non disclosure, up to $240,000. On the bright side, the IRS has some discretion to come down on these penalties. Again, working with a tax accounting professional who is specialized in making overseas filings is the smart thing to do. You may be able to find an old expat CPA living out in the mountains that will get it done on the cheap. The question is, will the saving cover the IRS penalties if he or she has missed some of the minutiae of filing overseas assets? The issue with being a US taxpayer overseas is that the requirements upon you are regular, complicated and time consuming where it comes to tax and reporting and failure to complete these tasks, and making mistakes is met with life-changing penalty fines from the US government. INSIGHTS Americans: What Do I Have To File To The IRS From Overseas? There are certain investments that the IRS categorically dislikes and the tax treatment of them can be punitive. There are also other investments which can be reported in good faith by a qualified CPA, yet still not reported correctly in the eyes of the IRS, and can lead to investigative questioning, resulting in a fine if the IRS believes that your reporting was deliberately obfuscatory. Holding a US passport does not have to be a burden on your financial plans, but it does require a level of care and attention to detail which isn’t often required by other nations. Receiving sound advice from experienced overseas professionals will enable you to streamline your financial affairs, maximize growth in your accounts, minimize reporting requirements and reduce and mitigate tax. Ignoring your reporting obligations, leaving your money in unsuitable, highly-taxable investments and hoping that the US will welcome you back with open arms is unrealistic and hazardous. Americans overseas have a to play by a different set of rules. Are you managing your finances in an optimal and compliant method?